(Politico) Democratic National Committee Chairwoman Debbie Wasserman Schultz said the U.S. would be bolstered with support from “dozens” of international allies if the United States makes military strikes against Syria. Really? Dozens? Who might they be? However, Wasserman Schultz said she was not a “liberty to say” specifically what countries have expressed supporting in missile strikes, because some of the information she received was classified. Nations that support strikes is classified? I suppose there are some that support America taking action. Just apparently none, other than France, who will be participants. And they all have to be kept super secret from Moose and Squirrel. 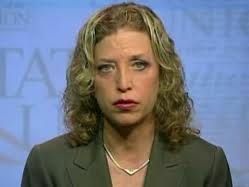 But, really, I think we can all read between the lines and understand that DWS is simply pulling things from her posterior again.